Join us for networking, presentations, and a facility tour at PowerHouse Recycling on November 4, 2015. 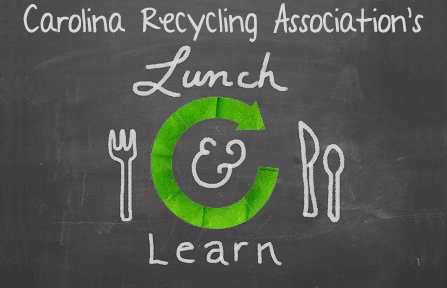 We will meet at the Rowan County Ag Extension for presentations from Rowan County’s Recycling Coordinator Caleb Sinclair, NC DEACS - Environmental Senior Specialist Rob Taylor, and PowerHouse's Director of Sales Brett Henderson. Following lunch, we will feature a tour and overview of PowerHouse's electronics recycling facility.